The live-action adaptation of Shinichirō Watanabe and Keiko Nobumoto’s 1998 anime classic series Cowboy Bebop has recruited a major portion of its cast. John Cho, who appeared in Star Trek and voiced English dub characters in Studio Ghibli’s The Tale of Princess Kaguya and Mamoru Hosoda’s Mirai, will star as the cool, intergalactic bounty hunter Spike Spiegel. As Variety reports, Cho’s co-stars include Mustafa Shakir (who’ll play Spike’s ex-cop partner Jet Black), Daniella Pineda (as con artist Faye Valentine), and Alex Hassell (hitman Vicious). 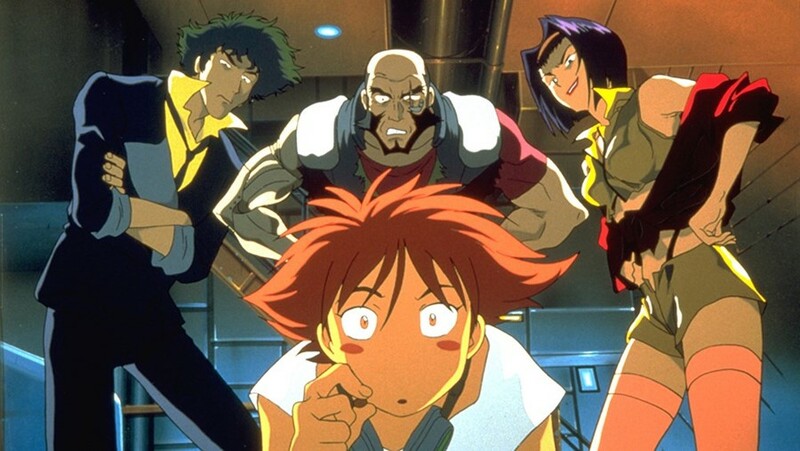 The Cowboy Bebop reboot has a diverse cast, compared to the Ghost in the Shell and Death Note remakes, which were criticised for whitewashing. The story follows Spiegel as he travels through the galaxy with Jet Black, chasing down the solar system’s most notorious criminals and bounties in 2071. They’re flanked by a gang of ‘cowboys’ including Faye – who suffers from amnesia after years of being cryogenically frozen – young hacker Ed, and corgi Ein. Spike’s biggest nemesis is Vicious, who is connected to the Red Dragon Crime Syndicate, and who loathes Spike for his affair with his girlfriend Julia. Ed is the only main cast member yet to be announced, or just entirely omitted from the series – it isn’t clear yet. Ed doesn’t show up in the original series until a few episodes in and doesn’t appear in the mammoth 26-episode-long series finale, but is still integral to many of the cowboys’ original adventures. The anime’s original director Shinichirō Watanabe is acting as a series consultant. The original was lauded for its slick action sequences, surreal plotlines, and textured score, remaining a touchstone for any anime fan. The first series was adapted into a manga, and then became a movie in 2001. There have been reboot rumours and false starts for years now. It was also confirmed this week that a live-action remake of legendary Akira is officially in the works. Netflix will debut 10 episodes of the Cowboy Bebop remake at a future, as-of-yet-unreleased date.